It’s that time of the week again – Monday means another Escentual post and this week’s article takes a break from the usual A-Z and focuses on a review of the latest fragrance from the venerable perfume world of Serge Lutens. ‘La Fille de Berlin’ (The Girl from Berlin) is a rose of many textures inspired by the androgyny of German-American actress Marlene Dietrich. To read my review please click on the above image to head over to the Escentual Blog. Posted in Escentual, Rose, Serge Lutens and tagged Escentual, Escentual.com, La Fille de Berlin, Marlene Dietrich, Perfume, Review, Rose, Serge Lutens, The Girl from Berlin. Bookmark the permalink. Did you know Creed’s Angelique Encens was created for Dietrich (and is an absolutely gorgeous, soft, oriental, skin scent)? It’s interesting that they went with rose for this…especially since he has several in the line (Sa Majesté la Rose & Rose de Nuit). It would be fun to compare with those and possibly Lipstick Rose & Drôle de Rose. Not a huge rose fan but I wouldn’t mind catching a whiff. I did not know that! I have a sample of Angelique Encens and it is definitely one of the better Creeds. This one is an odd rose to describe, it feels familiar yet unusual all at once. There are a couple I have a soft spot for, namely; Millisime Imperial, Silver Mountain Water and Virgin Island Water. VIW is the only one I’d shell out for though. I have a friend who is a die-hard Creed fan and Millisime & VIW are her two faves. I frequently bring her any niche samples I get because it’s so rare to find another local “fume-nerd” buddy. I’d be interested in sniffing the Silver Mountain – especially after your Caligna review! It’s great to find like-minded people to share with isn’t it? Silver Mountain Water was the first ‘niche’ scent I ever tried and I loved it for years. Now smelling it I find it to be astringent and the longevity is appalling. Still, I’ll always have a soft spot for it. 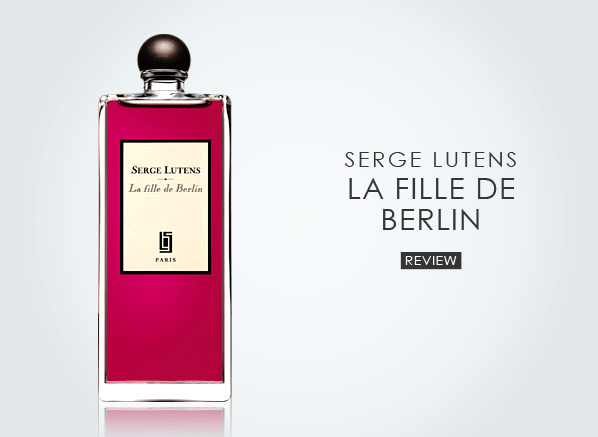 I AM INTERESTED IN TRYING SERGE LUTENS LA FILLE DE BERLIN. I AM ALLERGIC TO CARBOXYALDEHYDE.CAN ANYONE TELL ME IF THE FRAGRANCE CONTAINS IT? I have a sample that I tried last week. Rose with an edge, reminded me of Rose 31. Tried it again yesterday and it was different. Softer, more rose, just beautiful. A trip to Barneys is in the near future. Sounds like this one got to you! It’s incredibly beautiful in a simple, refined way.